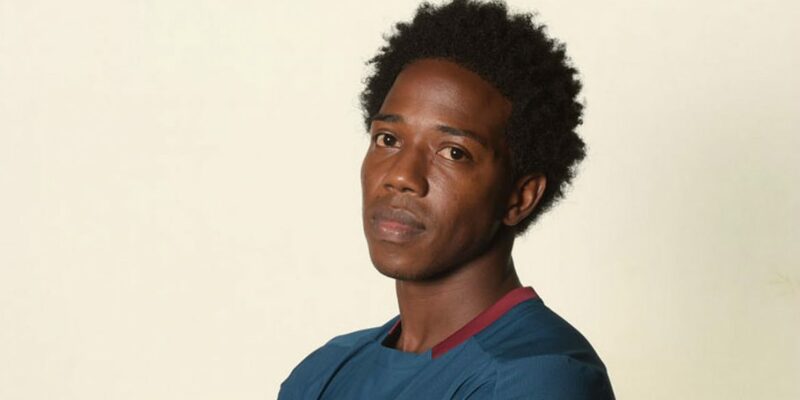 Colombia’s Carlos Sanchez has secured a last-minute move to Premier League team West Ham, the club announced Thursday. Ending a three-year association with Italy’s Fiorentina, the 32-year-old penned a two-year deal with the Hammers just as the English transfer window shut. Sanchez will begin a second spell in the Premier League, having spent two years with Aston Villa between 2014 and 2016. “I’m very happy to be here. I’m very excited and looking forward to achieving lots,” said Sanchez after being unveiled at the east-London club. “I decided to come here because, first, it is the Premier League, second, it’s a beautiful club and the fans are always helping the club,” the Choco-born midfielder told press. West Ham Director of Football Mario Husillos had high praise for the player whom the club had been keeping an eye on for some time. “Carlos is a very experienced player whose career I have always followed closely and with admiration,” Husillos told reporters. “He made a great impression for Elche in Spain when I was Sporting Director with Malaga, and came back to Spain last season on loan with Espanyol – plus of course he already has experience of England and the Premier League from his time with Aston Villa,” added the official. Sanchez began playing football after his family moved from Quibdo, Choco to Colombia’s second biggest city Medellin, enrolling in a football school at a young age. From there, the midfielder moved to Uruguayan club Danubio, where he signed his first professional contract in 2003, training alogside the likes of PSG’s Edinson Cavani. After failing to break into the first team, he was released two years later and joined River Plate Montevideo, where he went on to make 40 appearances over another two-year period. In 2007, Sanchez was picked up by French side Valenciennes where he made an immediate impact, becoming ever-present in the starting XI of the Ligue 1 club. After making 148 appearances and scoring eight goals for Valenciennes, he left the club in the summer of 2012 but failed to secure a move after plenty of Premier League interest, subsequently returning later in August of the same year. On August 16, 2013, Sanchez signed a three-year deal with Spanish side Elche in a $4.75 million transfer. After some fine performances for the Spanish club, Premier League side Aston Villa came calling in the summer of 2014 with the Colombian signing for the Birmingham-based outfit on a four-year deal. Villa, however were relegated in 2016 and Sanchez was loaned out to Fiorentina and was given a permanent deal later in the season. After making 40 appearances for the Italian club, Sanchez made a return to Spain with a loan move to Espanyol, where he made 14 appearances, doing enough to catch the attention of West Ham. Sanchez hit the headlines at this year’s World Cup when he was sent off for a deliberate handball in Colombia’s opening World Cup game against Japan, which “Los Cafeteros” went on to lose 2-1. The midfielder, who has made 88 appearances for his country was reportedly on the receiving end of several death threats from football fanatics in his home country. His concession of a crucial penalty against England in the round of 16 led to further criticism. Sanchez now joins international teammates Davinson Sanchez and Jose Izquierdo who are established in the Premier League as well as Jefferson Lerman and Yerry Mina who completed late moves this week.